Bowing to left wing pressure, Eizenkot decides to freeze promotion of Colonel Yisrael Shomer for shooting rock thrower near Bet El in 2015. Succuming to left-wing pressure, IDF Chief of Staff Gadi Eizenkot froze the promotion of Colonel Yisrael Shomer for shooting a Arab rock thrower near Ramallah back in 2015. 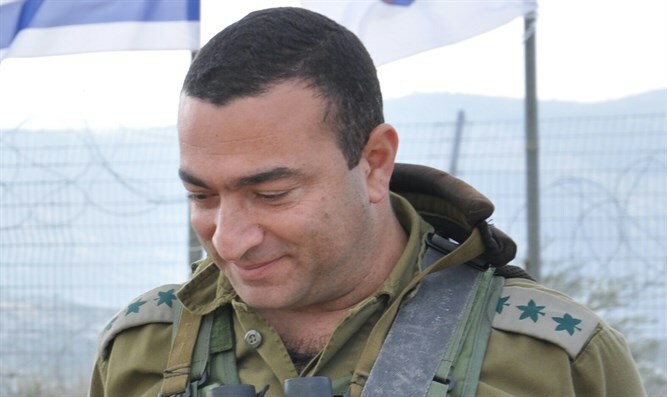 Shomer, who currently heads the Nahal Brigade, will now be forced to serve for another term as a brigade commander before he can be promoted to the rank of Brigadier-General. The setback to Shomer's career comes after pressure by left-wing organizations to punish Shomer for shooting a rock-thrower that did not appear to be an immediate threat. Recently, the Association for Civil Rights in Israel appealed to Attorney General Avichai Mandeblit to overturn the findings of an IDF probe that cleared Shomer. Shomer had shot dead the Arab rock thrower who attacked his car as he drove through Kalandiya in northeastern Jerusalem back in 2015. The IDF, along with other Israeli officials, had initially backed Shomer over his actions, noting the danger to his life in the attack as the rock smashed the windshield and penetrated into the car. But after the radical leftist NGO B'Tselem released video of the incident, the IDF launched an investigation into the shooting of Mohammed al-Kasbeh. During the investigation into his actions, Shomer told military investigators that after he gave chase al-Kasbeh turned suddenly to face the soldiers, while holding an unidentified object which looked like an improvised explosive - and that only at that point did soldiers open fire to neutralize the threat. The IDF probe later cleared Shomer, finding that the gunshots fired by the officer were justified in the circumstances of the incident and were meant to facilitate the attacker's arrest. It was also found that firing while not in a static position fell within the scope of a professional error, but one made due to clear operational circumstances.